Key Difference: PTRC stands for Professional Tax Registration Certificate, and PTEC stands for Professional Tax Enrollment Certificate. A business usually requires both to conduct business. The process to register for the PTRC and PTEC is usually the same, but the processes differ as per state. The PTRC and PTEC are two different certificates that are commonly required by a business operating in India. 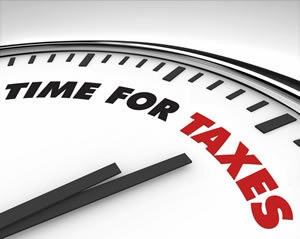 PTRC stands for Professional Tax Registration Certificate, and PTEC stands for Professional Tax Enrollment Certificate. A business usually requires both to conduct business. The function of a PTRC is to allow the employer to deduct and deposit professional tax to and from the salary of its employees. The PTEC, on the other hand, allows the company to pay the company’s and their director’s professional tax. Hence, a regular company required both, a PTRC and a PTEC, as by law it has to pay its own professional tax, as well as the professional tax for all its employees. However, in instances where a company does not have any payable employees, then they will only require a PTEC, and not a PTRC. This is especially the case for professional practitioners such as CAs, Doctors, Advocates, Architects, etc. They usually have their own registered practices, but may not have employees that meet the criteria for professional tax. The regulations regarding PTRC and PTEC differ as per state, as well as the process of registering for the certificates. However, the common process is that a form must be submitted online by uploading it electronically to the website. After submission, a confirmation must be downloaded and must be submitted along with other document proofs such as copy of PAN card, Proof of the Constitution of Business, Proof of the Residence of the Partners, Director & Proprietor, Proof of the Place of Business (Address Proof), Blank Cancelled Cheque, Shop and Establishment Certificate, as well as the PAN and PTEC Details of all the Partners or Directors and the details of the number of employees and their salary slabs. The process for registration is usually the same for both PTRC and PTEC, in fact, they can be registered for on the same form and at the same time. 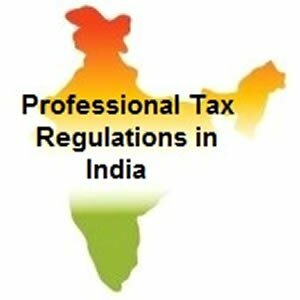 PTRC Registration PTEC Registration Stands for Professional Tax Registration Certificate Professional Tax Enrollment Certificate Required for Professional Tax in India Professional Tax in India Description A certificate obtained by an employer to deduct and deposit professional tax from employees’ salary. A certificate obtained by an employer to pay their own professional tax, as well as by professional practitioners such as CAs, Doctors, Advocates, Architects, etc. to pay their own professional tax. Purpose To deduct and deposit professional tax from employees’ salary. For professionals to pay their own professional tax Process for registration Differs as per state. However, commonly a form must be uploaded electronically on to the website for registration. Common documents required for registration Acknowledgement of Online submitted form along with the printout of the originally submitted form Self Attested Copy Of PAN Card Proof of the Constitution of Business Proof of the Residence of the Partners, Director & Proprietor Proof of the Place of Business (Address Proof) Blank Cancelled Cheque Shop and Establishment Certificate Additional documents required for registration PAN and PTEC Details of all the Partners or Directors Details of the number of employees, as well as their salary slips. How to obtain Duplicate payment challan (download) for Profesional Tax payment made by employer for employee under type of Payment PTRC (MTR Form No:6 for a particular month. While remastering for PTEC form what should be filing in the particular to TYPE OF APPLICANT in case the entity is a partnership firm. I am confused that whether i should write the name of individual partners or the name of the firm. Wanted know that I have LIC licence since Feb 16. I couldn't work because of my personal reason. Am I eligible to pay such tax? can the ptrc amount paid by the employer on behalf of the employee be claimed as set off against the profession tax payable by a person under self employment i.e ptec?